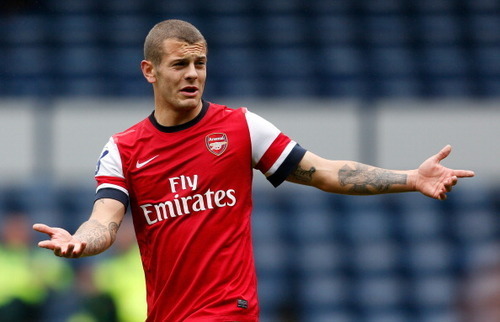 Jack Wilshere will not play a part in Arsenal’s Capital One Cup game against Reading after being selected against QPR. Jack Wilshere’s comeback helped quieten dissent at Arsenal but frustrations will return if Arsene Wenger’s side fail to reach the quarter-finals of the League Cup at Reading on Tuesday. Wilshere had been scheduled to make his return after a 17-month injury absence at the Madejski Stadium but, having unexpectedly started in the 1-0 home victory over Queens Park Rangers on Saturday, he will be rested. Wilshere’s withdrawal will be just one of several changes made by Wenger as the manager rotates his squad. Yet despite the fact the line-up will bear only a passing resemblance to the side that faced QPR, Arsenal’s continuing seven-season trophy drought means that expectations remain high. The competition figured fifth in the list of five targets identified by Wenger at the club’s rancorous AGM last week, trailing behind the Premier League, the Champions League, qualifying for the Champions League and the FA Cup. But for a club that is desperate to reacquire the winning habit, no competition can be treated lightly. The match will provide Andrei Arshavin with the chance to press his claims for more action. The Russian appeared as a late substitute against QPR, replacing Gervinho — who was injured 12 minutes after coming on — and played a decisive role in Mikel Arteta’s wining goal. Similarly, Theo Walcott, whose contract situation remains unresolved, will be anxious to impress on a rare start after finding himself sidelined in recent weeks. The game is sure to be a special one for Reading manager Brian McDermott, as he will be facing the club that gave him a start in professional football. The 51-year-old came through the youth ranks at Arsenal and made his debut for them in 1979 before becoming a regular in the 1980-81 season, playing up front with Alan Sunderland. He left the Gunners in 1984 — having played 72 games — after falling out of favour, but bore no ill will to the north London club. “It was a good draw and I was really pleased it’s at our place as well,” said McDermott. “That’s a club that means an awful lot to me. “Arsene Wenger has done an unbelievable job and it looks like they have a real opportunity to do well this season with the team he has got. McDermott will have to do without midfielder Jem Karacan, as he is set to be ruled out for up to six weeks with the knee injury that kept him out of Saturday’s thrilling 3-3 draw at home to Fulham. The 23-year-old, who was out for four months earlier in the year because of an ankle injury, underwent scans this week after sustaining the injury during a 1-0 defeat at Liverpool earlier in the month. He confirmed the bad news via his Twitter account. “For those asking, looks like I’m going to be out for around six weeks. I’m gutted to be injured again but it could have been worse,” he wrote.